Volvo has added an XC90 R-Design model to its range. Described as 'the sportiest XC90 to date', Volvo's new seven-seat XC90 R-Design showcases a range of new design features and equipment updates. The R-Design SUV runs on 20-inch alloy wheels and comes with a 12.3-inch active TFT driver's information display, Drive Mode Settings and Adjustable Steering Force. This allows the driver to choose between different settings for the engine, transmission, steering and the optional air suspension. The R-Design's sporty exterior includes silver-effect door mirrors, a black mesh front grille and tinted rear windows. Inside, there are leather/nubuck sports seats, and a perforated leather-trimmed steering wheel complete with gearshift paddles. A powered front passenger seat with memory function joins sports pedals, black headlining and upgraded interior lighting. A leather-clad remote key fob is also included, as part of the R-Design's package. This is on top of the standard spec for the entry-level XC90 Momentum models, which includes items such as a nine-inch touch screen control system, Sensus Navigation, two-zone climate control with Volvo's CleanZone air quality system and LED headlights. 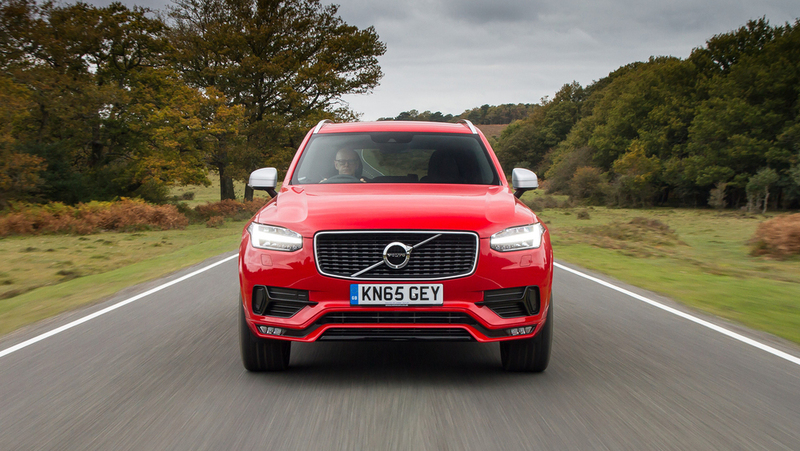 Nick Connor, Managing Director of Volvo Car UK, said: "The launch of the XC90 R-Design makes our premium seven-seat SUV even more distinctive and dynamic than before. Its sportier looks certainly make it stand out on the road, and its extra equipment ensures that the interior is as luxurious as it is stunning." The R-Design versions are available with the D5 diesel and T6 petrol Drive-E engines, and in T8 Twin Engine petrol-electric hybrid form. On sale now, prices start at £49,785 OTR.